Are you tired of wasting money on diets and diet gimmicks, or are you just tired of being tired? This guide is filled with information about health and fitness, including how nourishment choices fuel the body and how healthy nourishment choices in combination with consistent resistance training may decrease the risk of health problems. 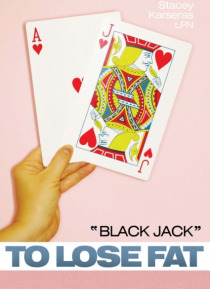 Black Jack to Lose Fat has twenty-one sections that explain t… he best time to exercise, how to exercise, why you should exercise, what foods to eat, when you should eat, glycemic index values and the human body, weight loss vs. fat loss, and how to feel and look great. Black Jack incorporates twenty-one resistance-training exercises to burn fat; gain strength, endurance, and lean muscle mass; and decrease health risks and pain. This program is recommended three times a week. The effort becomes easier with each workout because you are your own personal trainer. Start slow and make gradual changes for long-term success. Everything in moderation with no deprivation. So dont deprive yourself of feeling and looking your best! Stop making excuses for feeling bad.